Last Updated: 03 Apr 2014. Water is the elixir of life. Though 2/3 of the world is covered by sea water, the potable water is a little more than just 1% of water available on this globe. Even this 1% is not easily available to us. A part of it is found in the poles and the rest flows as river and gets lost into the ocean. The water that percolates down the porous soil and gets stored alone sustains most of the human race. As the world population has exploded the pressure on potable water is also high. So, there is a need to preserve Rain water to prevent wars between countries on water. When rains fail occasionally, the animals in forest migrate to long distances in search of water. Small check dams built in different places hold rain water and help animals face severe droughts in forests. Man has ever been the most ungrateful wretch. He keeps on digging borewells and uses water to the maximum wihtout ever bothering to replenish the water tables. As a result, there is a seepage of sea water in borewells in cities located near the shore. Besides, agriculture is becoming economically un-viable because of elss availability of water for irrigation. So, Tamil Nadu State Government has promulgated an ordinance insisting on rain-harvesting in all the homes through out the state. A 4 feet square pit is dug. The bottom is filled with sand for half a feet height and for about a height of six to eight incches gravel is spread. Then again sand is filled in for half a feet height. Then the four walls of the pit are plastered with brick and mortar. A pipe is routed to the pit form the roof tip. The moment rain falls, it reaches the pit. As PRIs offered their technical expertise for building the rain-harvesting pit, many came forward to fulfil the Government order. Those who resisted were threatened with cutting of water supply etc. by Municipal authorities. State has taken steps to deepen ponds and to create new check dams in villages where such ponds are not available. Realising the seriousness of the Government’s involvement, now every home and field has got rain-harvesting facility. Observers who criticised the Government’s initiative initially now praise it. The wells which had tasteless water has now changed drastically. After a little bit of rains, the water level and the taste of water have improved substantially. Harvesting rain is like repaying mother earth what we have been robbing for century. Let us be grateful and continue to harvest rain to sustain plant kingdom and human race on the earth. By Neeraj yadav / In Aligarh. Water is the life, without water we can't expect of life on the earth. Water is most important for every living to live. Underground water is limited and if it is finished, there is no chance to recycle it again. To save more and more water, rain water harvesting is most important. Rain water can be stored in wells and it can be used for cattles and for irrigation in rural areas and for domestic purposes in rural as well as urban. Govt. should take step for digging wells, so that more more water can be store. By Kamalakannan Mohan / In Salem, Tamilnadu. Rain water Harvesting is an important, and an ideal solution to residential areas. The level of water in the ground varies. 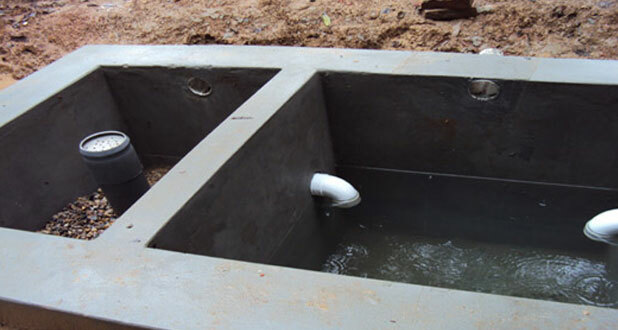 Where there is insufficient or inadequate ground water supply or surface resources, rain water harvesting helps save the runoff of pure rain water in underground rain tanks. The rain from the roof of the houses flow through pipes that run around. It is collected and made to flow through a pipe into the ground. A storage drain built underground collects all this surplus rain water. So rain water is not wasted. This stored rain water is in turn used for domestic or even irrigation purposes.